My family loves to read. We love to find a good book and sit down to enjoy it. But we want to learn more about reading and the book itself while we read it. 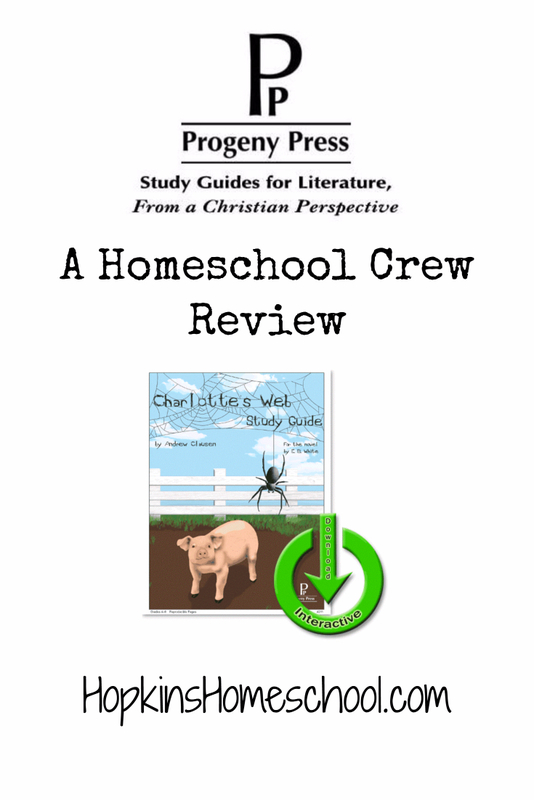 Finding a study guide that helps us learn more about the book we are reading is just what Progeny Press has given to us with the Charlotte’s Web E-Guide. 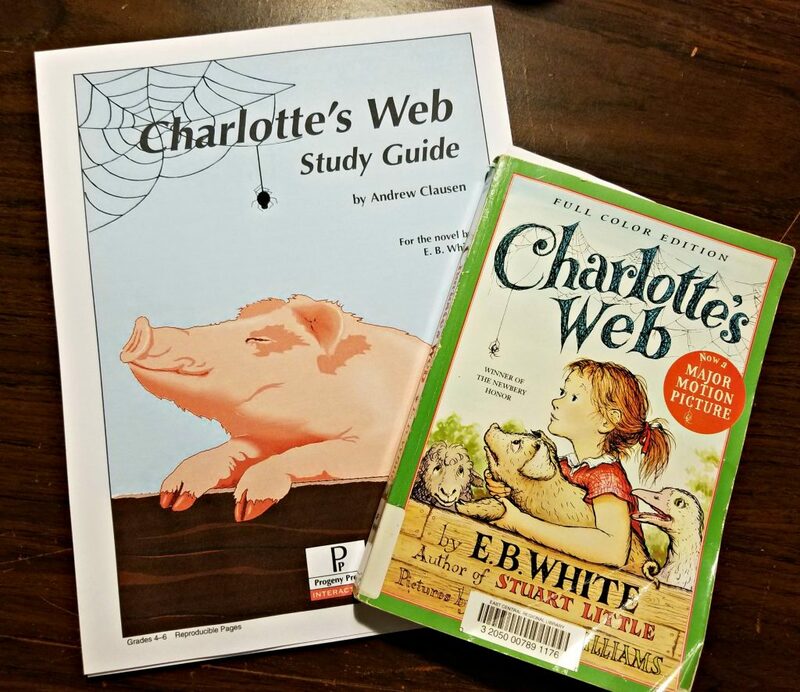 The Charlotte’s Web E-Guide is geared for students in grades 4-6. This E-Guide covers everything from comprehension, literature and vocabulary. Not only that, but it is a Christian based study guide that includes references to the Bible throughout the guide. 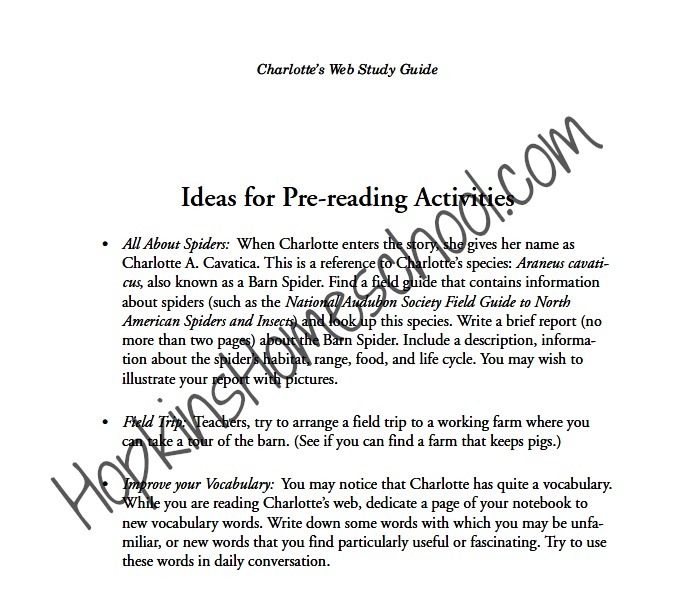 This guide starts out with a note to the instructor, an about the author and illustrator and synopsis of the book like most of the Progeny Press E-Guides. This is a great way for me to be up to speed on what the book is about. This is also a great way to introduce the book to your children. After all of that, you are given some great pre-reading activities. This is a great way to get your child ready and excited to read the book! The rest of the study guide is divided into small groups of chapters. There are about 3 chapters for every set of questions. I like that there are not questions for each individual chapter. This makes Ray Ray need to focus on what he is reading and not just breeze through the chapters and questions. The questions start out with vocabulary words. Sometimes there are multiple choice questions, writing your own definition, finding synonyms, etc. This keeps things interesting and never boring. After going over the vocabulary we get into the questions. These questions make sure that your child will have read the chapters. They are not too hard, but do require that your child reads the book. My favorite part about the study guide is the thinking about the story and the digging deeper questions. These take the thinking a step farther. They make your child really think about what they want to say, and how to say it. They also bring things from the book to your child’s life. My favorite part about the e-guide is that it is interactive. While this may not be something others are concerned about, my Ray Ray hates to write. He can draw, he can color, he can type, but when I ask him to write, I get met with frustration, crying and tantrums, and then there is Ray Ray! Having an interactive guide means that he can type his answers and we have no frustration! 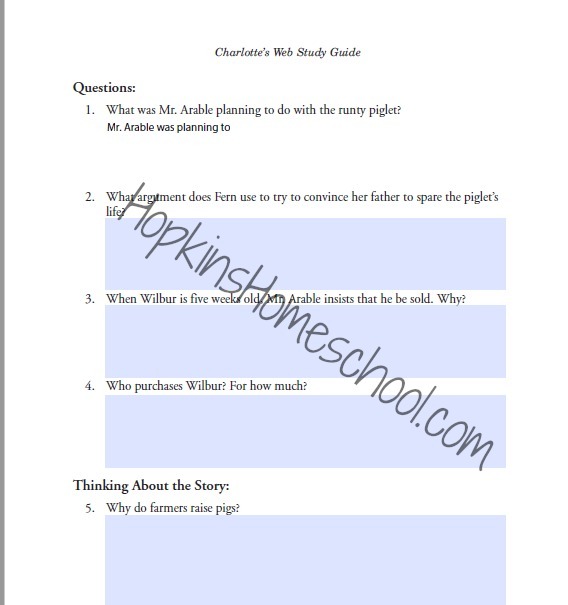 Once you are done reading the book and working through the questions in the study guide, you get to finish up with an overview of the story. This allows you to talk about the main conflict, climax and resolution. This is a great way, in my opinion to finish a book, along with some character study, theme, science and Bible! I look forward to finishing this book with Ray Ray and going over these! Finally, finishing up the study guide is Ideas for Post-Reading Activities. These activities are simple, yet fun. They are a great way to finish up the book and have fun at the same time. No one likes to just end a book, so ending it with a project is a great closing to it! It is all in the interactive guide! If he doesn’t have to hand write, he is happy!